Joseph was a man of faith. 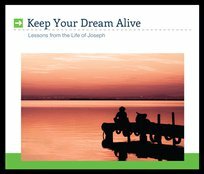 Though sold into slavery and imprisoned for a crime he didn't commit, Joseph always trusted God and held to the promises He had given him in dreams. In these messages, Dr. Lutzer provides encouragement and advice for those who have lost their vision.